As we age, we experience exposure to the sun and weather causing our skin to become damaged and wrinkled. For our mothers and grandmothers, there was no remedy. But today, in the world of lasers and light beams, no one should have anything less than smooth, wrinkle-free skin no matter what his or her age. Your skin is your most visible feature and should be cared for with superior treatments and procedures that bring forth its natural beauty. If you would like to rejuvenate your skin, but are not quite ready for a face lift, laser resurfacing may be the answer. Fine lines and wrinkles can be reduced or eliminated; remarkably, loose skin tightens with laser skin resurfacing. 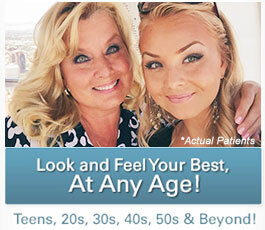 Younger, healthier, and more alluring skin can be yours. SmartSkin® is the newest approach in laser peels and fractional laser resurfacing that can make you look years younger. 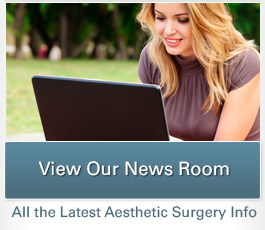 We have created a page on our website with much more detailed information about this exciting treatment. Click here to learn more about SmartSkin CO2™. I just had a SmartSkin CO2™ LaserSkinRenewal™ to my Face, Neck and Chest! My skin had sun damage that mostly presented as pigmentation, and my neck and chest were beginning to get that wrinkled look with necklace neck wrinkles, so it was time! I am so happy that I did this, as now my skin is clear with no makeup and my neck and chest skin is tight! This is exactly what I wanted. It is great to be a patient and experience the powerful effect of the fractional skin resurfacing technology-firsthand. This definitely makes me a better surgeon, to be a “patient.” My nurse Linette and I decided on the setting, and we used the new MultiPulse technology, so I had a comfortable, and fast peel. It took approximately 5 days for approximately 90 percent of my skin to peel and before I was presentable to the public. I never used any pain medications, just Advil and our post-laser skin care regimen made it easy to heal. I got a lot of work done from my home, so I made great use of my downtime. I am planning on using intermittent SmartSkin CO2™ LaserSkinRenewal™ laser peels to keep my skin looking clear, smooth, tight and natural.